We will be hosting the first event of 2018 for the carpet cleaning industry in September. Right now we are in talks with a handful for carpet cleaning companies to find sponsors for the event. One is We Move and Clean based in Swindon. 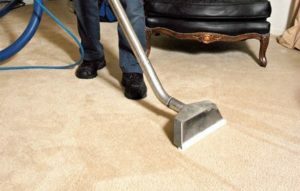 One of their specialties is carpet cleaning in and around Swindon. We are also in talks with a handful of other companies who are going to sponsor the event. We are either going to be basing the even in Swindon or Newcastle. Newcastle is quite far from Swindon so it is still under consideration and might not happen. Right now all of our talks are with companies in Swindon but we also have a nice location in Newcastle upon Tyne we have hosted events for other trade industries ion the past that we can get a good deal on. So it will totally depend on sponsors and how the conversations pan out. We actually have a carpet cleaning company that has expressed interested in sponsoring the even in Newcastle called Clean Victoria. It’s unlikely it will happen but it is under consideration. If you run a carpet cleaning company in Swindon and are looking to get more local recognition then why not contact us to have a chat. Most of the companies who become event sponsors end up getting more reciprocal business as they are seen by the local community as an influencer. An example of this is when a local carpet cleaner is getting to many phone calls and they need to pass on leads. Then they think about who stands out and being a sponsor at an industry event get you seen as a trustworthy company to take on and service those leads. You will also be able to display our logo on all your branding. If this is something you are considering and you want to be seen as top carpet cleaning companies that service Swindon then why not contact us today regarding sponsorship. We will keep our blog updated as the weeks turn into months and we finalise our town and event venue.